Senior Pastor, Rev. David Hernquist was born in Olean, New York. After graduating from Olean High School in 1965, he attended SUNY Fredonia where he received his Bachelor of Music and Master of Music degrees. David began teaching instrumental music in public school in the Buffalo, New York area in 1973 and was also an aspiring clarinet player in symphony orchestras in the area. In 1976, while still teaching school, he and his wife, Mary, began attending the Full Gospel Tabernacle in Orchard Park, New York pastored by Rev. Thomas F. Reid. Soon he began studying for the ministry at the church and in 1980, David became a full time assistant pastor and served there until 1989. 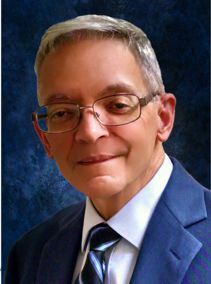 In 1989, he left the Tabernacle to travel full time with Evangelist Rob Schenck and was involved extensively in missions in Mexico City and Pro-Life activism. In 1990, he became senior pastor of Van Nest Assembly of God in the Bronx, succeeding Rev. Dominick Tuminaro who had been here 40 years. Since coming to the Bronx in 1990, Van Nest Assembly of God has grown into a multi-cultural, multi-generational evangelistic church with five services every Sunday, and various ministry programs and activities throughout the week. Several churches have been planted in the Bronx from Van Nest, including the African Assemblies of God Fellowship, which is now a network of African AG churches throughout the USA. Pastor David Hernquist has been very involved in serving outside his church. He was the Home Missions Representative for the NY District Assemblies of God for the Bronx, Manhattan and Lower Westchester Section for several years and was Presbyter of the section for 3 and a half years. David has also been active in March For Jesus, Bronx National Day of Prayer, Bronx Clergy Task Force, Billy Graham Crusade, and many other clergy efforts in NYC. He also serves on the Boards of Concert f Prayer Greater New York and Intercessory Prayer Ministry International, and serves as the Chairman of the Board for Faith In Action Washington DC. Mary Hernquist serves in many capacities at Van Nest Assembly including leading worship, directing choir, children’s ministries and has been preaching the Word of God at various Women’s Conferences. Their son, David Andrew and his wife, Maureen, live in Fredericksburg, Virginia where David has been the worship leader at Crossroads Vineyard Church since it was planted in 2008.